We found Bill and Lorie Gale at the annual Blacktop Motorsports Car Show in Stillwater on June 12th displaying their classic 1965 Ford Mustang Coupe. 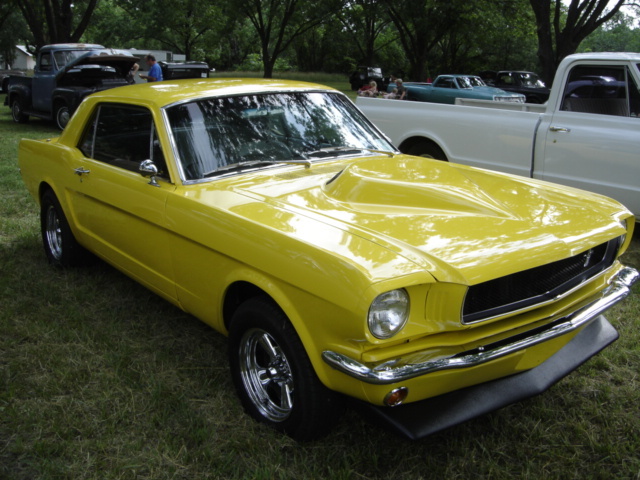 Bill ran across this 1965 Ford Mustang Coupe back in 1999. 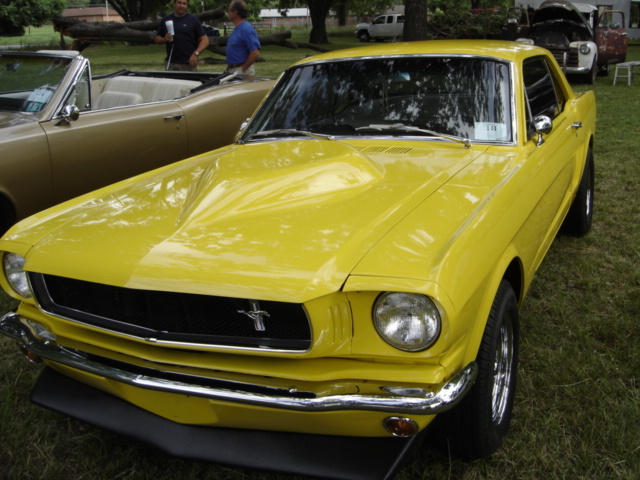 The Mustang was literally a basket case that had not been tagged since 1976. The run down condition of the car enabled Bill to purchase the old Ford for only five hundred dollars. 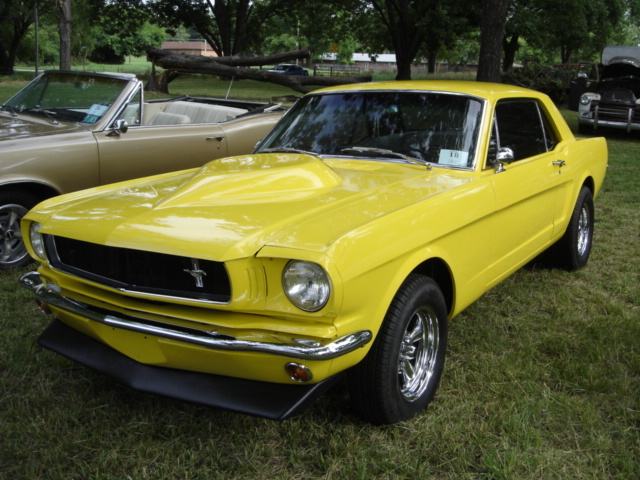 Bill’s wife Lorie had always wanted a 1965 Mustang and Bill saw an opportunity to make his wife’s dream come true. A three year total restoration project began and became a young man’s gift of love for his wife. Bill and close friend Joe Woods, who just happens to be an excellent welder, did the body work by removing all the rust and replacing body panels. 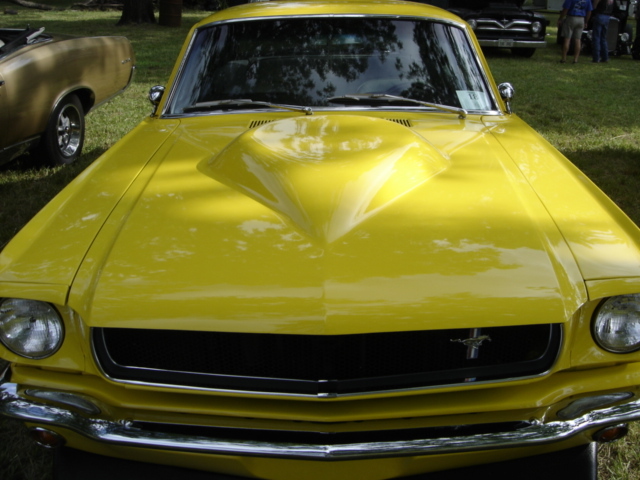 Bill had Steve Young who worked for Meridian Tech as an auto body repair instructor to paint the classic Mustang Lorie’s favorite color “Yellow”. 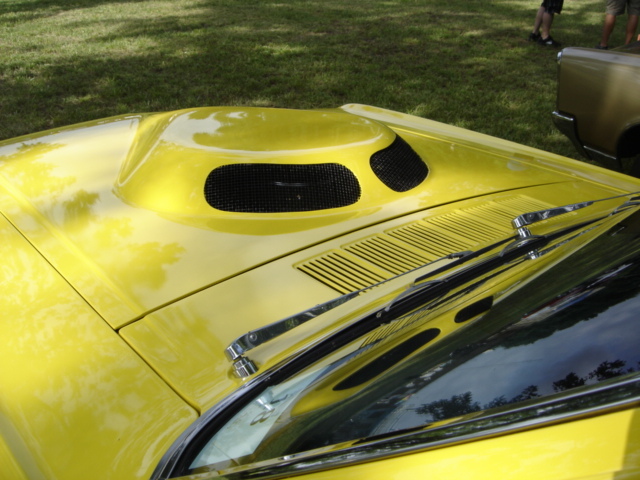 The original hood was replaced with this raised vented hood for extra engine compartment cooling and great looks. 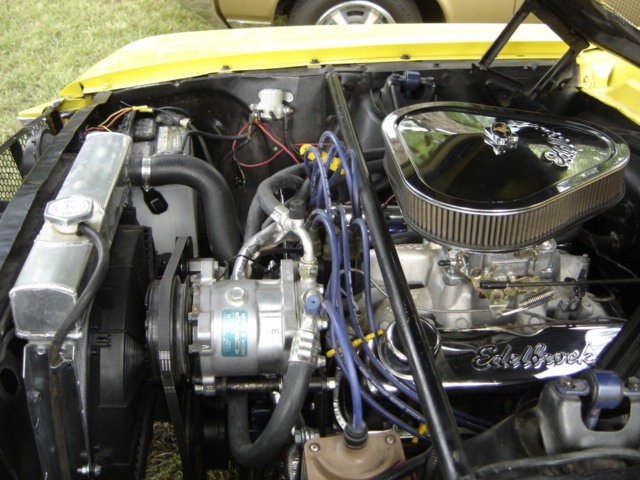 Bill built a Ford 302 cubic inch V8 Roller engine for the classic Mustang which included forged pistons, balanced crank shaft and rotating assembly. 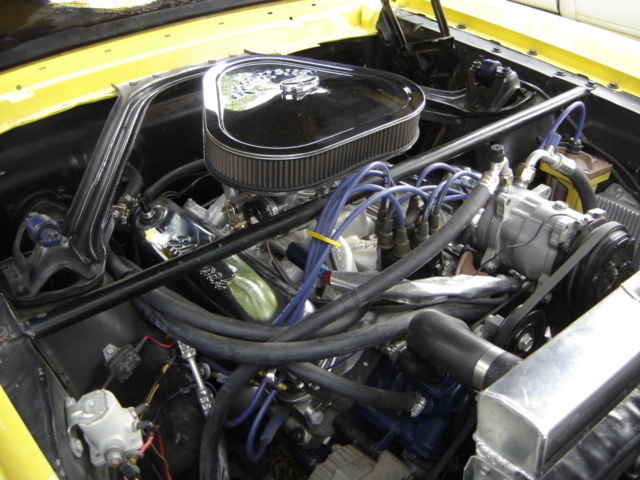 Bill added a complete Edelbrock RPM Package that includes aluminum heads, intake manifold and four barrel carburetor. 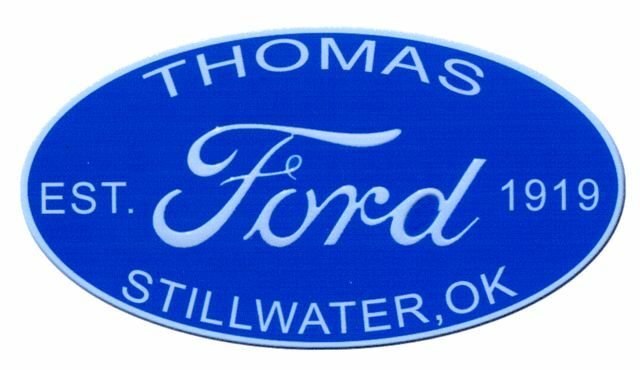 The power to the rear wheels is through a Ford C-4 automatic transmission built by Economy Transmissions of Stillwater. The 302 V8 Roller engine puts out 300 horsepower and 330 pounds feet of torque. Bill added tall 2.8 gearing to the rear which allows near twenty miles per gallon even with the three speed C-4 transmission. The 302 V8 is cooled by an oversized aluminum radiator, electric cooling fan and the interior is cooled by a complete Vintage Air Conditioning System. 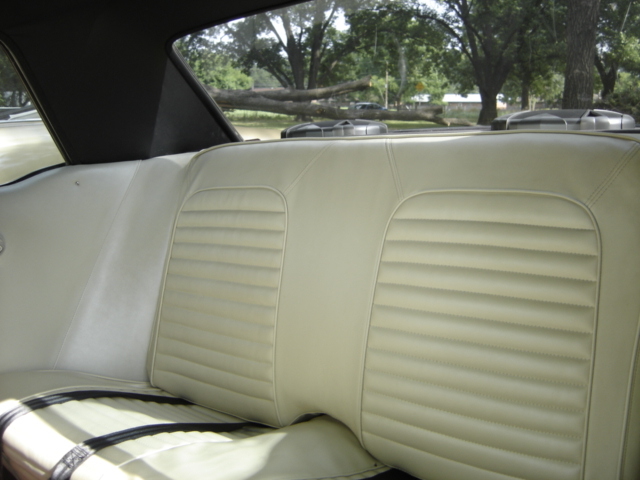 The interior of the classic Mustang was built by Matt Prater of Collin Auto Trim of Stillwater which is in keeping with the classic Mustang look. 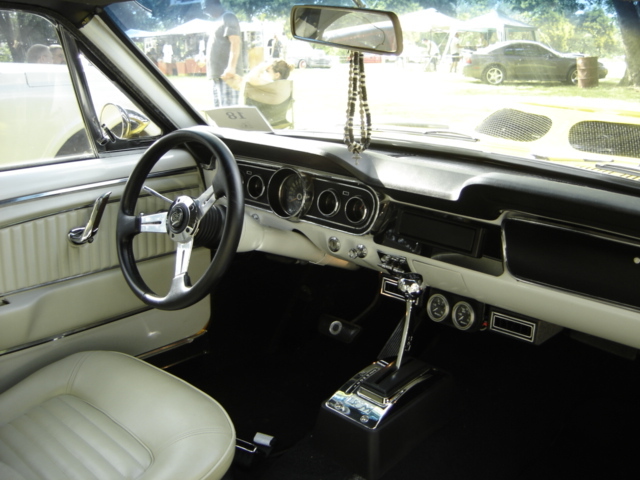 The white and black interior really makes the Mustang look great. 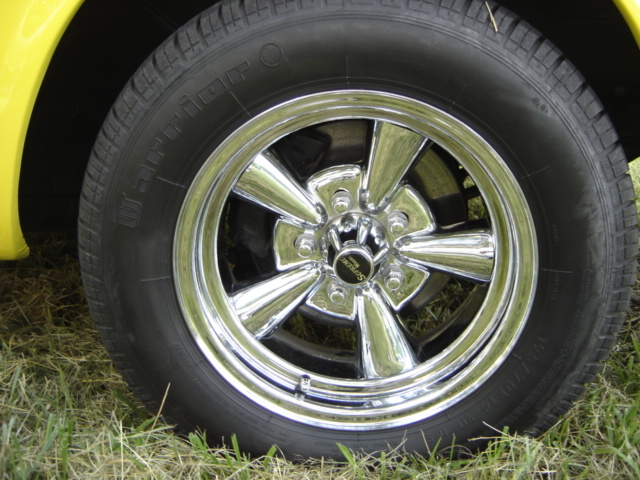 Bill replaced the old wheels with a set of Supreme Five Spoke Chrome wheels. He mounted black wall 195/R70/14 tires on the front wheels and 245/R60/14 tires on the rear. 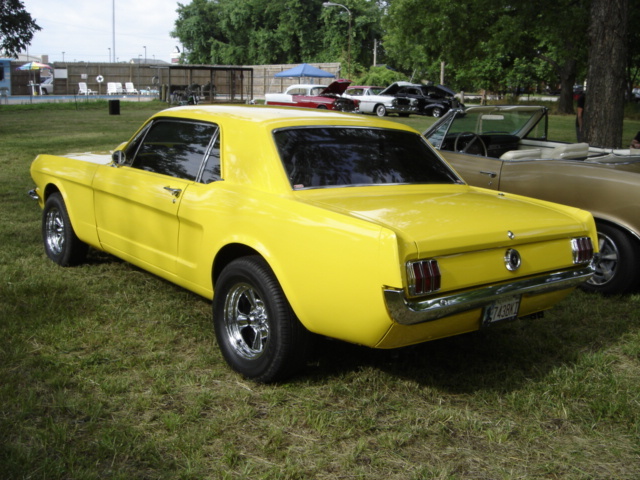 The Cimarron Starlite Cruisers wish to thank Bill and Lorie Gale for sharing their great 1965 Ford Mustang Coupe with us and our readers as the June 2010 Great Oklahoma Classic.